Behold! 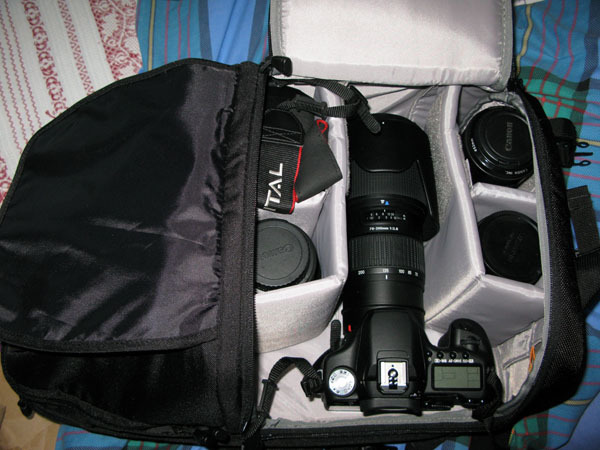 I have a new kit bag, one that means I don't have to carry my 70-200 f/2.8 in an entirely separate bag. Which is nice. Photo duty at Tramlines in Sheffield on Sunday. Lots of potentially interesting acts on, very much in a pop vein. Pixie Lott (who is, bizarrely, on first - prior commitments elsewhere? ), Little Boots and a few others. Then next weekend I'm shooting a three day festival up in the Lake District. While I'll naturally be shooting the headliners, any suggestions on people to catch from the support line up would be gratefully received. So far I'm seeing Kasms and Chew Lips as ones to investigate, would welcome any further tips. Understandably my agency already has someone for V and Leeds, which is a shame, but not at all unexpected. Might still be in with a shot for Summer Sundae in Leicester, though.